Tell to you happy news that soon I will marry to one woman! It is the hope of our life. It is the secret that I was dating to one woman but now I can tell you! She is very beauty! Hahaha. You know my meaning! Soon I will take the test with the doctor so the government will say it is OK to marry. Only the healty man can marry to the healty woman! If one has sick body then they can not marry. It is the law to say that! That is why there are no bad Lunatics now in China becase the government do not allow that kind of sick person to have the baby! You should hurry to China to grab a beauty here! You are the VIP so you should be happy with the lover! 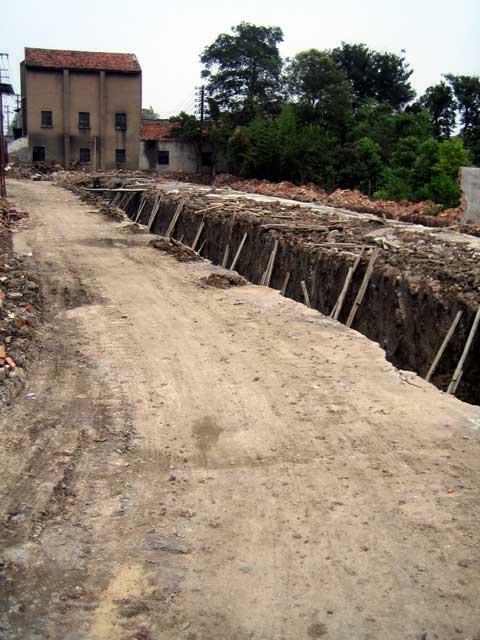 Hi, tell you that now in Suzhou they found 13 dead people. They are 300 years old. That whole family be killed from that emperor even the child! They are 13 Coffin under the ground and the government got lots of Anticks from the Coffins so they are so happy! You should look at the photos! Franky speaking the photo is bad but later I will try better to you! 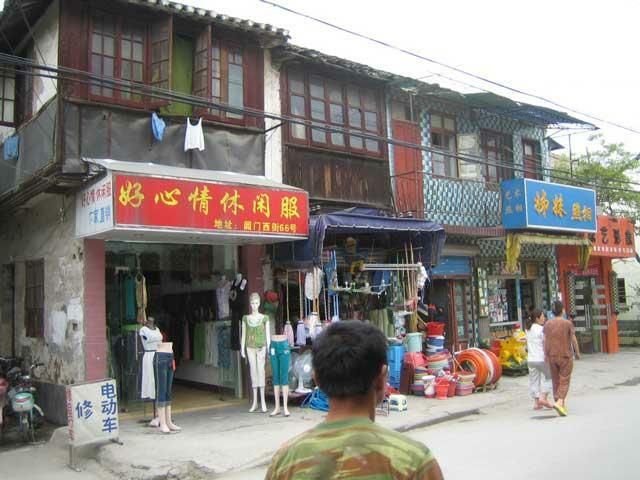 Now there is so many small store in Suzhou! You can buy many thing and it is so cheaper! This horse is so funny you will want to look at it! 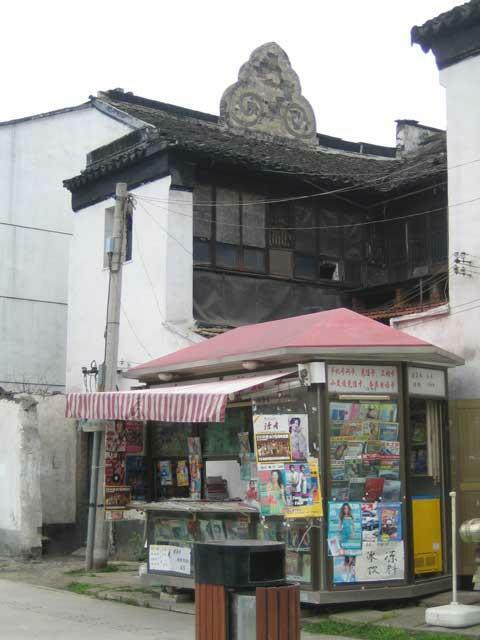 Some old house and the magazese store to buy the funny book for reading. The grave of the 13 dead mans. The newspaper say it is when the Qing emperor kill all that family becase they say the bad thing of the emperor. They should not pull to the dragons tail or the dragon will bite them! Who knows that? Everyone know that! Some old well for the water. The old man will want to come here to sit and smoking and chat of the simple thing. 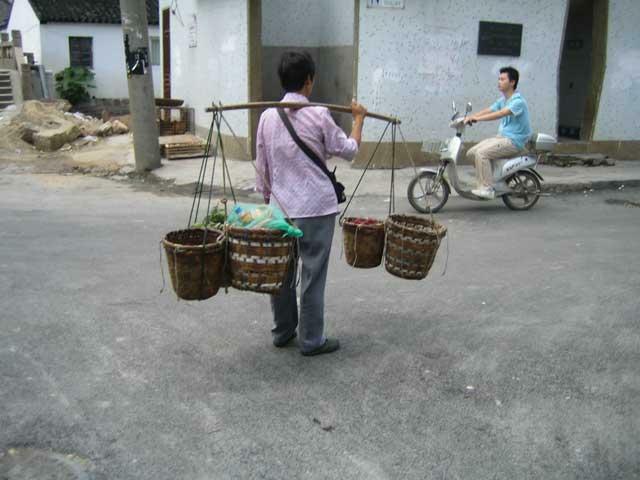 The woman is selling the vegetable to you becase she want to get the money! She can carry it to you with that stick. 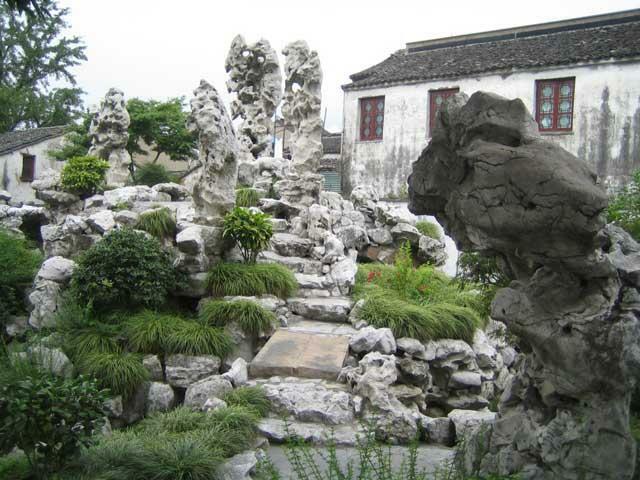 This is the garden of the 5 elegent rocks of civilization! 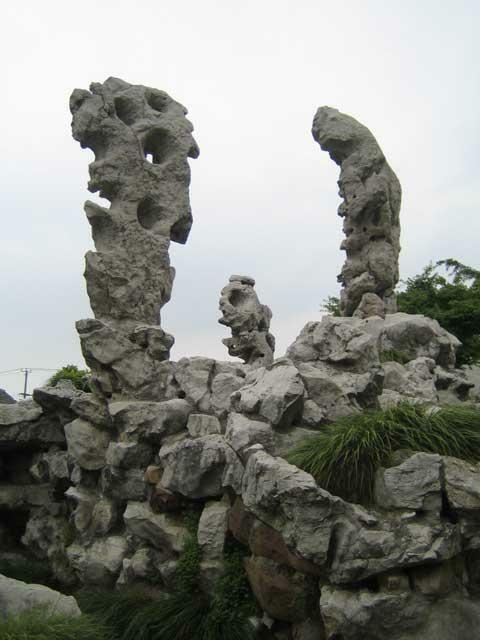 You can see that old rock that the rich man put there from the Taihu Lake stone. 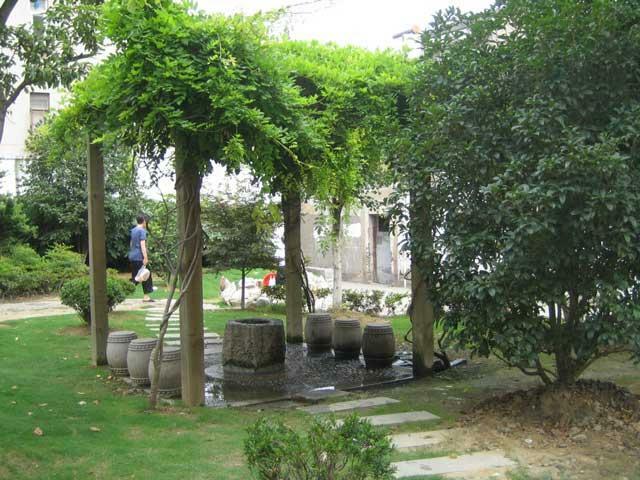 It is very beauty and only 2 RMB to go into that garden so it is very cheaper! Everyone want to praise it and say it is the most beautiful rock in the world and that China is so good! 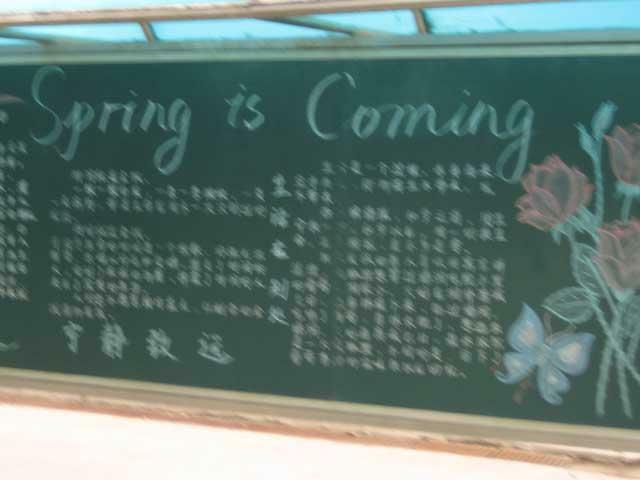 At the school you can see this sine with the English words for the child. Many small childs will want to hello to you when they see you are the forgeiner! 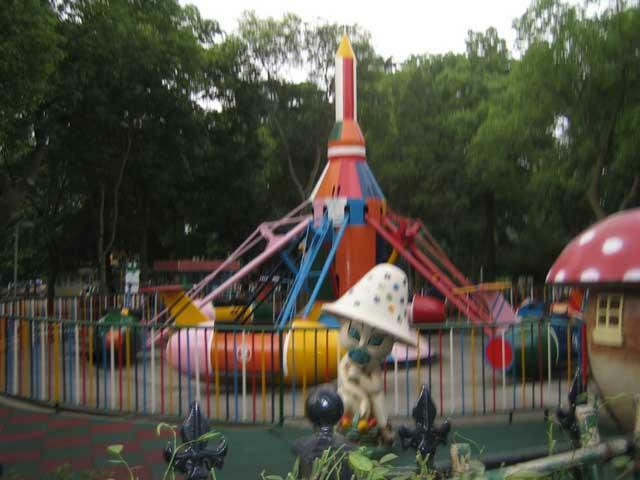 The allowed enjoyment area for the childs. 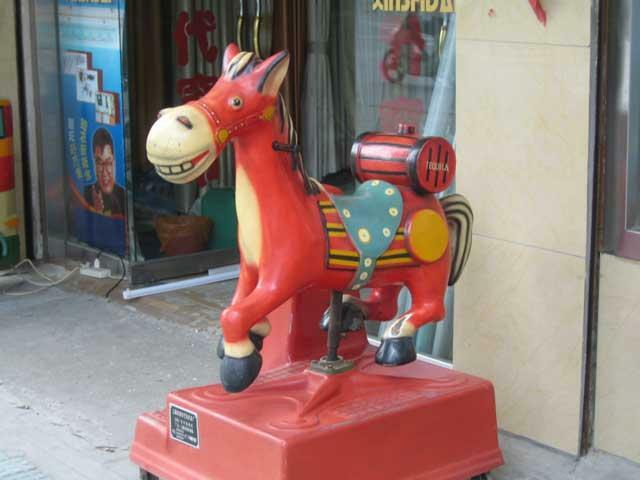 When you come to China you can ride on that and everyone will want to look at you and think he is so strange. This is the end of it. I must toilet now so say bye to you. Wish you are happy!